A party scene from ENO's production of Marnie. Photo credit: Richard Hubert Smith. La Traviata returns to the Met stage after two years off (with a "shiny new production" facelift! ), and with it, another opportunity for revelry, mirth, and toasts to everyone's good health with a nice glass of champagne. But what about the other shows of the season? What beverages would you pair with them? In the first of four volumes, resident ersatz sommeliers Scott Dispensa & Lianne Coble-Dispensa share their pairing choices for the opening shows of the Met's 2018-2019 season. Samson et Dalila (Opens the season on 9/24! ): This lush, lavish, and lusty production deserves a wine that stands up to its character! If we’re looking to pair with location, Samson is an Israelite, and Dalila is a Philistine, which means her people settled in and around what is now Israel, Gaza, Syria, and Lebanon. Scott picked two different wineries for you to check out: Domaine du Castel, an Israeli winery making Bordeaux-inspired wines, and from Lebanon, Château Musar, which has been continually producing critically-acclaimed wines despite decades of strife in the region. Regardless of which one you choose, you'll have an experience that combines the power of Samson with the luxuriousness of Dalila. La bohème (Opens 9/25): This opera is DYING for both food and wine pairings. Just listen to the 2nd act market scene! The townspeople cry out for panna montata, la crostada, Prugne di Tours, latte di cocco, and gentleman holler for birra (beer) and ratafia, a sweet liqueur popular in Italy and the Champagne region of France. Scott thinks this would be a great pairing for the enjoyable sweetness of La Boheme. Lianne notes that if you’re not into sweet booze, you could go the beer route and pick up an Italian brew. Lianne & Scott prefer the brand Birra di Meni, but you could keep things light and airy and settle on a tall, fizzy glass of Peroni! Aida (Opens 9/26): You might think that trying to find an appropriate adult beverage to pair with an ancient Egyptian opera would be difficult, but surprisingly, those Egyptians knew how to party! Alcoholic beverages were part of daily life, particularly beer, which was served to children and adults alike, as it had a lower alcohol content and was better for you than the local water sources. Ancient Egyptian beer was commonly made from Barley, so I’d recommend a barleywine-style ale like Sierra Nevada’s Bigfoot. Schafly and Smuttynose also make a highly-rated barleywine-style ale. Enjoy! La Fanciulla del West (Opens 10/4): I’m going to give you a few options here. Fanciulla is set in California during the Gold Rush, and you know those prospectors were drinking their body weight in whiskey at the time. Conveniently, we have the Gold Rush cocktail, which is a combination of bourbon, lemon, and honey syrup (a riff on the prohibition-era “Bee’s Knees” cocktail, which uses gin instead of bourbon). But if you want something classier to pair with an opera about a powerful female figure, may I recommend wines (of any kind, they’re all fantastic) from the female-owned Day Wines and Kelley Fox Vineyards. Marnie (Opens 10/19): Nico Muhly has made my job easy for me in this opera: the “happy hour” after-work scene at a bar opens with the chorus shouting out (or rather, singing out) their drink orders. So, we have some delectably dated choices: how about a Cinzano and lemon? Maybe a lager and lime? Or perhaps you’d like a Babycham (which is the brand name for a pear cider that was popular in the 60s)? All of them are low-alcohol choices, which I recommend, as you’ll need your wits about you during this psychological thriller of a show. Tosca (Opens 10/25): Tosca’s setting in Rome in the 1800s inspired Scott to search for wines that may have been around during that time. He settled on Frascati, an Italian white wine, which has been cultivated in the countryside surrounding Rome for close to 2000 years. Frascati can come in many styles: dry, sweet, still, or spumante. Whatever mood you might be in, it is recommended to buy the youngest Frascati you can find, as these wines are not meant to age. Seeing as how the youthful couple, Tosca and Cavaradossi, meet untimely ends in the opera, this aspect of Frascati makes the pairing even more fitting! Carmen (opens 10/30): My first instinct was to wrack my brain in search of a bold, sultry Spanish red wine to pair with Carmen. After all, Carmen herself is indeed bold, sultry, and Spanish. But if you’re interested in location, the opera is set in (and around) Seville, making Jerez the closest wine region. The Jerez region is best known for its sherries, so I’d recommend starting the night out with either a dry Fino sherry, or a light, salty Manzanilla sherry. If you want to kick things up a notch, float a wee bit of that Fino sherry in a glass of dry champagne. It’s a fantastic aperitif. 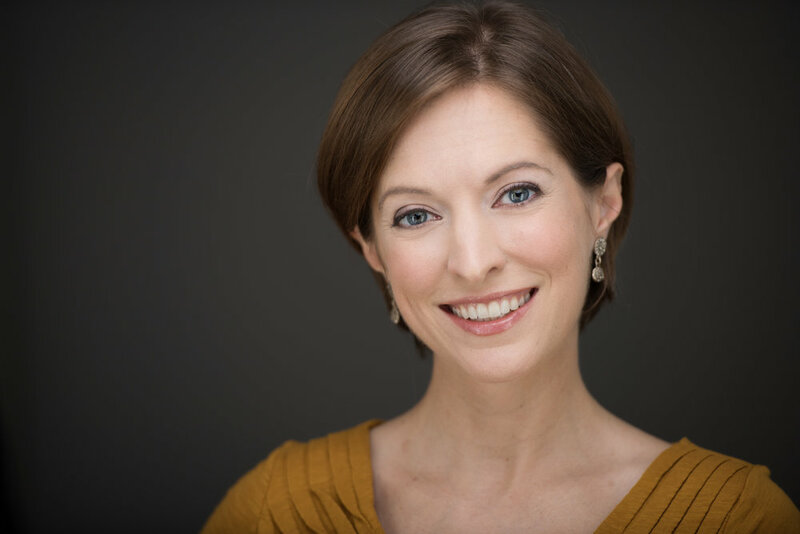 Lianne Coble-Dispensa joined the Metropolitan Opera as a member of the extra chorus in 2010, and went full time in 2015. She is the Editor-in-Chief for the Met Artists Newsletter, and is a member of the Met Chorus Artists executive board. When she's not singing opera or furiously copy editing this month's newsletter, she enjoys spending the lion's share of her free time cooking various delights in the kitchen, reading non-fiction, Crossfitting, and running (you may see her in this fall's Staten Island Half Marathon). She is married to fellow chorister (and ultramarathoner) Scott Dispensa, and they live in Teaneck, NJ with two ostentatiously named cats (Maximilien de Robespierre and Charles Hubert Hastings Parry). Sign up to keep in touch with your favorite opera chorus!